The iPod, iPhone and iPad audio accessories brand GEAR4 has called in Cow PR. The company used to work with Komodo PR, which won the account in late 2010. Cow won the business after a three-way pitch and will handle GEAR4’s consumer, corporate and trade PR. The brief will see Cow support a wider comms plan covering the entire GEAR4 product portfolio, including its speaker docks, headphone and app-cessory ranges. 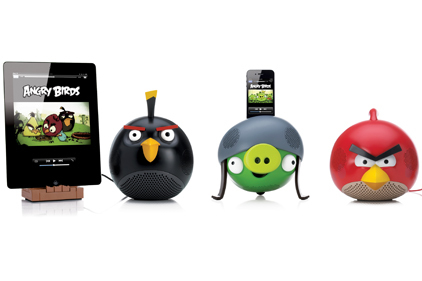 Cow will also handle the consumer and trade launches of the new Angry Birds speakers and the PocketLoops product line, a keyboard that attaches to iPhones, later in the year. The campaign will focus on how GEAR4 develops products for the whole family – from mums, dads and kids to techie teenagers. The agency’s strategy will be to bring this to life through corporate profiling, plus consumer and tech product support. Led by Cow founder Sian Morgan, the GEAR4 account will span proactive and reactive press office activity, as well as a dedicated corporate programme focusing on the heritage of the brand and its founder Tom Dudderidge.